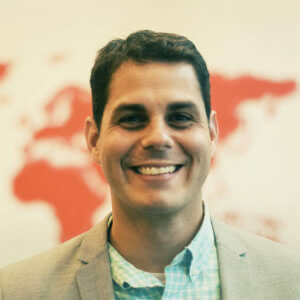 Ronnie Garcia is the senior pastor at Iglesia La Travesía, a Presbyterian Church in America (PCA) church plant in San Juan, Puerto Rico. 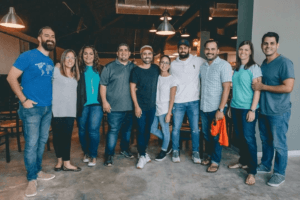 During his first seven years of ministry there, he focused on establishing an “anchor church” in the city, discipling members of the congregation and developing leaders to plant other churches in Puerto Rico. Ronnie passionately desired to see the gospel flourish in Puerto Rico through the local church. But he never imagined that just a few years later, he and his church would be on the front lines of disaster relief after one of the most catastrophic hurricanes ever to hit U.S. soil. When Hurricane Maria made landfall on Puerto Rico on September 20, 2017, the storm brought 100-mile-an-hour winds and widespread flooding. It destroyed the island’s power grid, leaving nearly all residents without electricity, clean drinking water, or cell phone service for weeks. All told, Hurricane Maria caused $90 billion in damage. When Ronnie and his church witnessed the widespread destruction around them, they immediately realized they had to do something to help their neighbors. They mobilized and joined with other churches and organizations to provide relief in the wake of the storm. As Ronnie and the members of La Traversía worked to help their neighbors, they witnessed the local church serving as the lynchpin of disaster relief—especially in hard-to-reach rural areas. The local pastors they met in those areas often had more awareness of the situation on the ground than their disaster relief partners. These church leaders were able to direct help to the people who needed it most. They noticed several problems that were making the breathtaking destruction even worse. First, many people who had lost their homes had no official titles or property. In some cases, families had passed land down for multiple generations without an official title. Not only did this make these families socially and financially vulnerable, it also meant they didn’t qualify for financial assistance from FEMA to repair their damaged homes. Without help, they wouldn’t be able to rebuild. They also noticed that the disaster was only highlighting long-standing brokenness in some communities. As time went on, Ronnie realized that Iglesia La Travesía needed a longer-term strategy for helping their neighbors. As Ronnie and his church continued helping their neighbors and planning their next steps, he remembered a book he’d read in seminary: When Helping Hurts. Inspired by When Helping Hurts, Ronnie and his church began shifting their approach. Ronnie created a new organization called Christ Collaborative, a group of churches working together to coordinate their response to Hurricane Maria. They began to move from providing emergency relief to focusing on rehabilitation, working to involve people in rebuilding their own communities. To help create a shared vision, they began offering workshops centered around When Helping Hurts for local pastors in the communities that were receiving resources from them. As short-term volunteer teams began arriving from the United States to help, When Helping Hurts also provided a helpful framework for Ronnie and others to receive them. Today, Iglesia La Traversía has moved beyond relief and rehabilitation to long-term development. They’ve focused on building relationships with their neighbors in the nearby community of Sector La Hormiga, a slum with around 200 residents. As the church builds relationships in Sector La Hormiga, they are working to introduce vocational training for residents and training in micro-enterprises that can provide them sustainable income. We can’t change all of Puerto Rico, but we can invest deeply into one community. We’re going to invest and see what God does over the next 3-5 years! Measuring the impact of these long-term efforts is difficult. But perhaps the most significant changes have been internal. Ronnie, his middle-class congregation, and the materially poor community of Sector La Hormiga are experiencing lasting transformation in their lives as they learn and grow together. 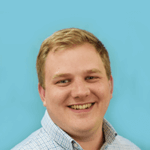 Austin Humbles serves as Marketing & Communications specialist at the Chalmers Center. He is a graduate of Covenant College and has worked in communications roles at several nonprofit ministries. He is a deacon at his local church and lives with his family in Rossville, GA.